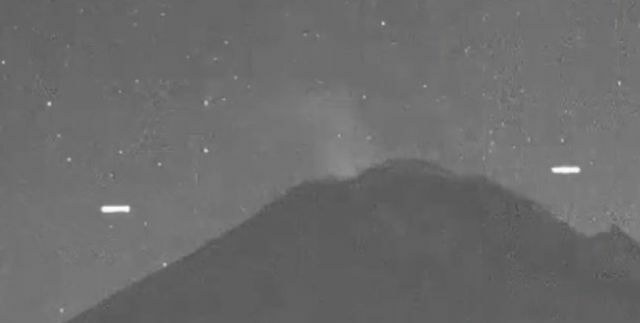 The footage has been recorded by KatMartin from the live cam of Popocatepetl Volcano on March 27, 2019. As she was watching the live cam at Popocatepetl volcano in Mexico, she saw an elongated bright UFO fly in. Of course it could be a plane, but then it is shaped pretty odd. The first clip shows the elongated bright UFO including a few more interesting pieces of footage showing some something unusual in the sky.